adaptable and intelligent species, these colourful parrots have been breeding successfully in Britain since the 1970s. 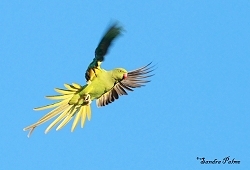 They are striving in the Southeast of England in particular and spreading slowly - like it or not, they're here to stay. There is no scientific evidence whatsoever that they have a detrimental effect on native species so why not just enjoy this gorgeous addition to the large family of British birds? 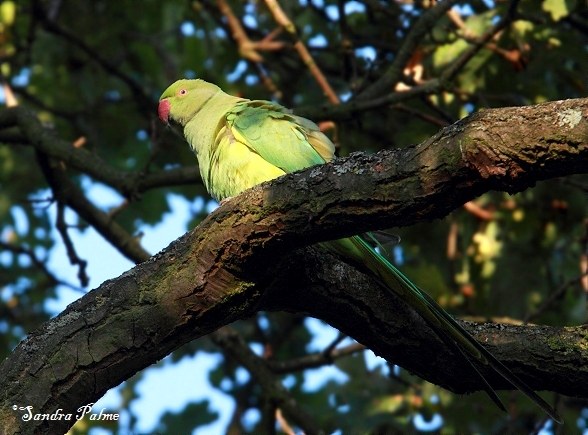 Here are a few record shots, most of which were taken in Richmond Park, London. 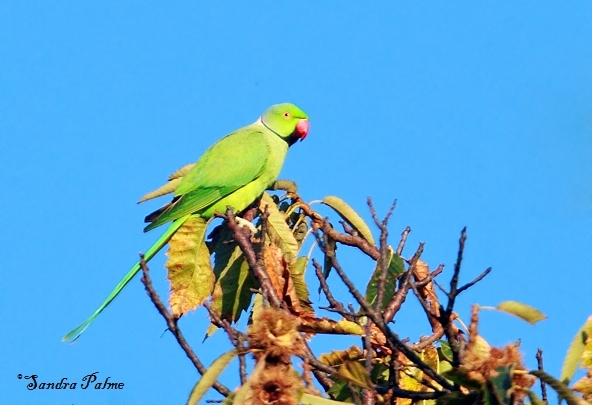 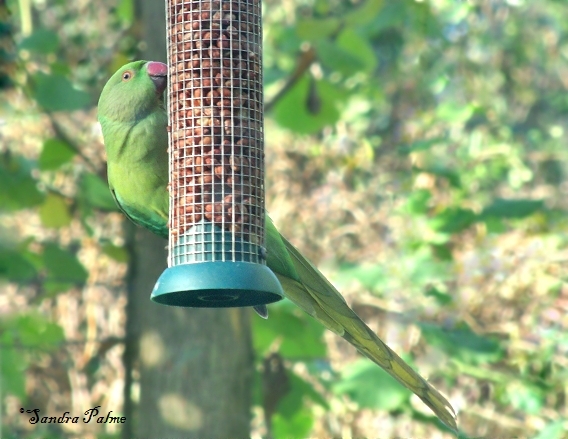 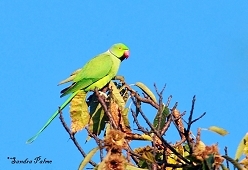 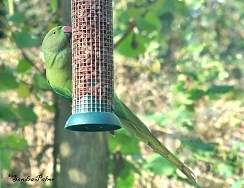 This beautiful young parakeet visited our Surrey garden and stayed all day in November 2012. 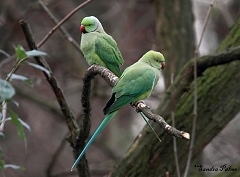 A pair of parakeets at Hyde Park, London.